Home Opinion Can Bentley really re-launch his career? Can Bentley really re-launch his career? One of the players supposedly given an amnesty under the Villas-Boas reign is David Bentley who is hoping that he can somehow reignite his career with a new manager. It’s nearly four years now since ‘that goal’ against Arsenal in 2008/09 and since then, loss of form and injury has led to very little match time outside of loan spells. “With the new manager, the new era, the new training ground, hopefully I can be a new player, with a new attitude and a new way of doing things,” Bentley said. “I’ve already spoken to the manager and he just said, ‘You’ve got a clean slate, so do what you can do and try to impress. David also acknowledged that he had contributed to his own downfall but suggested that changes at the club had a part to play. 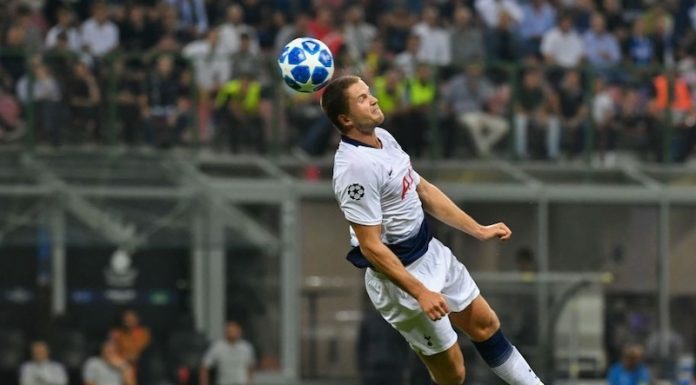 If AVB has offered the player a clean slate then Bentley is likely to feature in pre-season but could he really grab a second chance at a memorable career with Spurs? if we get around 3-4mil for him,i wud rather sell him up..
he is not suited to our fast, counter attacking style of play..
No. I didn’t rate him at Blackburn, I didn’t rate him when he played for England and I didn’t rate him when he played for us. He is not good enough. It looks like AVB will give him a clean slate, does he deserve it? I’m not sure, I’m also not convinced he has a role in a 4-3-3 formation. However, he was class at Blackburn, and maybe, just maybe he will come good. I doubt it though, I think Gio Dos Santos may prove to be a quality little player under AVB though. Hoilett for me was too inconsistent last year, my best friend from uni is a season ticket holder at Ewood Park, and he said that on his day, Hoilett could win a game on his own, problem was that his days were few and far between and when he wasn’t on it, he was worse than a man down. “Bentley”, I`d sooner have a “Rolls Royce”, Hoddle in disguise !! Not up to Spurs Style,Where would we play him ? Moses,Hoilett,Zaha,together with Jenas,swop both those 3 !! The David Beckham tag probably did him no favours, but i agree the game is now about pace and certainly on the wings where he plays, not good enough to dictate play in the middle and cant tackle, so agree sell him for what we can get, because his value is only going to reduce. If he is supposedly given a fresh start by AVB, how long do you think it will take him to get up to his old tricks again, for example, trying to beat the same player 4 times before attempting a rediculous pass to a team mate 50 yards away? This will be hard for him because the team are a lap ahead of David now and the only way he can catch up if the safety car comes on. The safety car is AVB and he will be aware Harry never utilised his full squad and loaned most of them out then injury’s meant he played Gallas Kaboul and King not fully fit. What could stop him getting a chance is how many players are sold and how many come in especially in midfield. Good Luck Davis B hard work can help you achieve the standard that made Sours pay 16 million for you Believe to achieve. Nice to hear that he’s admitted that something was lacking attitude wise. Hard to see him breaking into the team however. If AVB is gonna play a 4-3-2-1, I cant see him playing in a midfield three and the only other position would be wide right but he has Lennon, Van der Vaart, dos Santos and any potential new signings ahead of him. I think it would be crazy to sell him when his stock is so low though. I don’t think he should have been loaned out to championship sides. He’s not an 18 year old up and coming player. He’s someone that has England caps. Let him have his pre-season and if he can’t keep up with the pace I think he’ll have to go. The problem is unless he’s playing in the Premier League, his value will keep decreasing as he gets closer to the end of his contract. His wages are high, if we could loan him to another EPL club and he does well, he might be in demand. Not like his Birmingham loan stint though!! When AVB says he will give him a clean sheet he means he will have a look at him in training. I don’t think he has a future with us. If some club comes in for him I can see him going. I can only wish him all the best in his endeavour. I’d love it if he could prove everyone wrong. I never rated him but he’s given me at least one everlasting memory! Throwing a bucket of water over Harry?! LOL. Same Shannon, I’m still not sure how my 4 mates and myself didn’t go through the sealing into the flat below as we all landed simultaneously after jumping about 5 foot in the air! What a game, in fact, I’m off to youtube now to watch the goal, and then Jamie Redknapp’s reaction to the Lennon goal!!! His best moment in a Spurs shirt was to drench Harry after we qualified for the CL – and that says something… Qualifying for the CL should be a catalyst, for any player with a smattering of ambition, to step up and work hard and push for some mins on the field… We were all young once, and in need to come to the realisation that these things only come through hard work…. Bentley was beginning to realise that when he got sent packing by Arsenal to play for Blackburn. He was starting to show some stuff…. But then we had the right idea (sign a right midfielder to cover and help Lennon out), but the wrong target in Bentley (Comolli!!!) because he failed miserably and we have not signed another right midfielder SINCE!!! He has to go. Bentley has been one of the reasons that when Lennon has his annual injury, we are caught out. We technically have 2 RMs so financially we cannot sign another, but only one is usable… Bentley is too slow, sluggish for AVB you’d feel. I’d be surprised if he made it. Let him go.His stock is never going to increase(only decrease)Jokes aside he may be okay for someone like West Ham or Q.P.R. I have a good feeling about Spurs this season,maybe even win the P.L. All that is missing is a great striker in the calibre of D. Leandro. Spurs will not play C.L or win the P.L with Bentley playing. Hey, Charlie, do yourself a favor and watch a couple Internacional games before you start praising Damiao as our new savior. Don’t say he’s the striker we need when you base you opinion off of youtube video’s of him performing audacious rainbow flicks. He’s lazy, he’s got a poor first touch, he’s no Pato, and he’s priced at well over 20m pounds. Don’t want him, there’s plenty of better alternatives. Luuk De Jong, Lewandowski, Sturridge etc. just to name a few. Personally I dont think Bentley will make it at Spurs. He comes across as a big time charlie with a flash attitude. This is good when you are playing well and grafting for the team. Listening to his interviews he does not come across as the sharpest tool in the box and hard work is instilled in you over a period of time. How many people reading this have been fired and then worked to earn a fresh start? Are those same people ready to write Bentley off? He has talent, but not quite enough to take the ball past defenders on the wing. Maybe he could be transformed into a striker – he has a heck of a shot, is pretty fast, and has an aggressive nature. Who knows? – it’s certainly worth the while for AVB to give him a chance to show what he can do. At this point it would be foolish not to give him a last chance. Realistically we won’t get any real value for him and he has shown that he is a talented player. Besides, with Europa Cup games coming up, it will be the ideal platform for him to show what he can do. Don’t get me wrong, I don’t feel like he has earned himself another go at this but given the low market value we’ll get for him, it’s better to keep him around for now. This is pretty much how I feel about Gio. The main difference is that Gio’s 3-4 years younger, much more talented and AVB’s system fits him better than it does Bentley. At 27, I don’t really see Bentley transforming into a new and improved player…afraid we might just be wasting our time by keeping him around. Could potentially use those Europa League games to give youth players a go. As much as I want to see Bentley succeed, I just dont think he has the minerals to make it in our squad. I think we’ll end up playing 4-2-3-1 and he will not make it in ahead of Lennon. I completely agree with allowing GDS some game time as one of the wide men in the 3. I really believe in this kid. Gio is a useless player, on the wing, upfront, in the middle, in the hole…..he offers NOTHING he has been a failure on any of his loan moves and has had too long now to break into ANY team.